• Crane control with the world leader MANITOWOC (POTAIN). 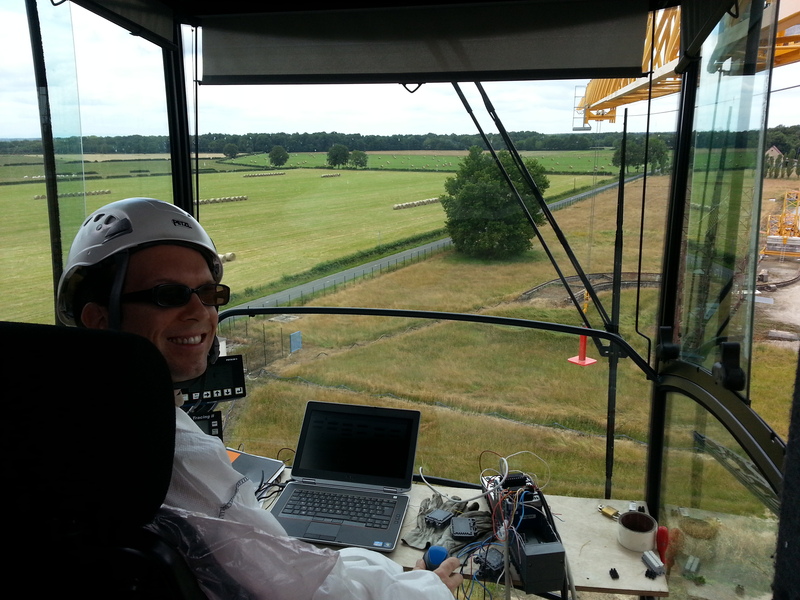 See this picture of me experimenting the real-time controller on a 30 meters high crane. It has also been successfully tested on the recent crane Hup (see picture below, courtesy of Manitowoc). • Guidance and navigation with SAGEM, the No. 1 company in Europe and No. 3 worldwide (in terms of revenue) for inertial navigation systems (INS). Our algorithm is embedded in the new drone Patroller (see picture below, courtesy of Safran Electronics & Defense). • Sensor fusion for feet motion estimation estimation with the startup FeetMe. • Radar tracking with THALES. • High pressure polyethylene reactor of TOTAL PETROCHEMICALS. Carling- France. The Kalman filter is an optimal tool to estimate some physical quantities, that are governed by linear differential equations. For non-linear systems, the engineers resort to the extended Kalman filter (EKF), that works well in practice but does not possess any optimality properties. Its biggest success may be its early implementation in the Apollo program in the sixties, and it is still state of the art for fusion of inertial measurement units (IMU) with other sensors. The invariant extended Kalman filter (IEKF), is a variant that improves the EKF for navigation, localization, and some related problems. It has been successfully implemented by Safran Electronics and Defense (formerly Sagem) for an inertial navigation application where it has lead to substantial improvements over the existing industrial methods. See the patent "Alignment method for an inertial unit. A. Barrau, S. Bonnabel. SAGEM/ARMINES. 2013. FR3013830. WO/2015/075248" for experimental results. This patent was awarded a Sagem Innovation Award, as the most innovative patent filed by the company in 2015. To study IEKF theory, start with our recent Annual Reviews paper. For more details see this article. The main point of IEKF theory is to associate nonlinear error variables to nonlinear systems. Then we can prove major properties. The first one is that the IEKF comes with convergence properties for a large class of systems on Lie groups. This is made possible by the log-linearity property of the error equation that we have shown in "The invariant extended Kalman filter as a stable observer", 2017. The second one is that the IEKF adapts to the geometry of the problem, especially where the covariance matrix contains small (or null) eigenvalues. See (this article). Last but not least, we have proved the IEKF (namely Right Invariant EKF, denoted RIEKF) when applied to SLAM is such that, although the system is nonlinear, the linearized system has the same properties as the Kalman filter in the linear case regarding observability. As a result, the RIEKF-SLAM comes automatically with consistency properties. See our 2015 paper (pdf). Some other authors have built on this since. One of the biggest success of the theory is to have introduced the group SE_k(3) which allows constructing error variables that are adapted to inertial navigation. Before that, many methods used to revolve around the use of SO(3), often to circumvent the singularities of Euler angles, and sometimes SE(3) as well. 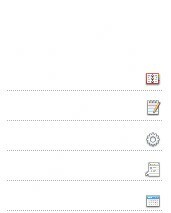 As concerns navigation, we introduced SE_2(3) in (this article). As concerns SLAM, we noticed in 2011 (pdf) the group SE_k(3) was interesting for SLAM, and it was formally introduced (and given a name) in the appendix of (pdf). Prior to that, this group had not been introduced and was neither used for navigation nor for SLAM to our best knowledge. Since then, a variety of applications has flourished. See the PhD thesis of Axel Barrau, that dates back to 2015 (pdf). The geometry in algorithms can also stem from probabilistic considerations (information geometry), or from the intrinsic geometry of the problem. Indeed, in optimization and machine learning, some constraints on the search space (orthogonality constraints, low rank etc.) make the search space a submanifold. This has lead to the realm of optimization on manifolds. The search space can generally be endowed with several geometries, but here again, the relevant geometries are often encoded in the invariances of the problem (see this nice presentation of Bamdev Mishra). I have also obtained some convergence results of stochastic gradient methods when the search space is a Riemannian manifold in this paper. Flatness theory allows to move the load from a point A to a point B easily in open loop (the only sensor is the length of the cable, available in any crane). The problem is that crane operators use a joystick to indicate a desired velocity of the load, not a point "B" for the load to meet. This results in rapidly changing required velocities, and the corresponding load trajectory lacks the smoothness necessary to apply flatness (the desired velocities must be differentiated several times). The required velocities must thus be smoothened, prior to being differentiated, in a way such that the velocity and acceleration constraints of the various motors are met at all times. But at the same time, the smoothened desired velocities must not be "too" smooth	otherwise the crane operator will consider the control system as not reactive and will not accept to use it. This tradeoff (i.e., smooth but still reactive) is not easily achieved. Especially considering that optimal control techniques are too demanding computationally for the crane controller. Experiments have been conducted in the field with MANITOWOC (POTAIN). It turns out the control system allows unexperienced operator to safely move the load, and it also allows more experienced driver to move the load as fast as before, but with less efforts.